Weddings. Just say the word and all things wedding come to mind. Inspiring wedding items from members of the EtsyChristmasInJuly Team and their stories fill my mind with ideas! Please enjoy! SticksNStonesGifts says that her hand knit pouches make a cute goodie bag for a wedding. They are fun, colorful and a unique way for adding a little extra surprise for guests to take home. Kelly and Adam from ColourscapeStudios share that this print has been ordered as a custom large size several times over now to be used as an alternative to the traditional wedding book. They do it on poster size paper, guests sign it, then the newlyweds frame it and hang it on their wall a very unique wedding gift to themselves. Kelly and Adam can also add the date and other details because it is all hand drawn. Mindy Hogue from TheVineDesigns says that she started creating camo and deer antler chandeliers and centerpieces when camo weddings became popular. Her husband, dad and son are hunters so she counts on them to keep her supplied in antlers. Mindy plans on creating many kinds of outdoor rustic wedding chandeliers. Betty Travell from LadySnooks has created these barefoot sandals since beach weddings are so popular. She made these sandals with Keishi freshwater pearls and genuine garnets in-between and crystals. Weddings have become so colorful now so a splash of red is completely appropriate. Jennifer Loftfield from CaffeinatedPapercuts starts out by saying ”Yay weddings”! That is how she got started in paper cutting. She dove right in and made her own wedding invitations 6 years ago. She couldn’t find invitations that expressed their uniqueness. Everything she saw was mass produced and boring. Jennifer is anything but boring. Wishing to save others from the mediocrity of the mass produced market she now offers original designs in her shop, some as DIY printables and some as finished products. All are customizable to your colors and wording taste and all are stunnning, if she does say so herself. Their most popular invitation suite is the pocketfold invitation and their most popular printable is the hydrangea suite. Apryl Hostetler from MaddieBsCreations daughter was married in the summer of 2012. She wanted a peacock theme for the wedding and reception. Apryl created a ring pillow and garter similar to the one in her shop. She even made the flower girl a pair of peacock feather sandals. She also made a button & feather bouquet that she had seen on a website. They carried the theme through to the reception with peacock feather centerpieces. It all came together nicely and the rich colors looked great. Kathy Dulje from GrammysGoodies sells vintage items. A customer wrote her last spring looking to use vintage melmac sets at her daughter’s wedding dinner. She actually was looking to purchase enough sets of vintage melmac to feed over 500 people. She ended up purchasing 2 sets from me which thrilled her. Vintage melmac can be used for much more than everyday dining! Veronica and Andy Fritsch from AVAArtsSupplies bought these for her sister’s wedding. She did a vintage rustic style wedding. In mason jars she put hot coco mix, glued old lace (bought at Goodwill) and then a button. She ended up using a ton of different buttons. They were all unique which was neat for the guests. They got something useful and it didn’t cost a fortune. Veronica also made the flower girl basket out of burlap using the heart buttons and letter beads to sew “To ( wrote “to” on the heart) Heather” “Love (heart) Krissy”. Her cousin loved it. Kate from GilbertandStone originally designed these hearts to be Christmas decorations, but looking at the white one it dawned on her that they would be perfect for weddings- added to a table centrepiece or swag, or used with flowers to decorate chair backs. Kate also is able to make them in a range of colours to tie in with the wedding scheme. Ann from ShellCottageCard had ordered the hugs and kisses stamp a few months ago intending to make tags or something with it. Then a friend gave her the swirl stamp for Christmas. Recently she was cutting out hearts for Valentine’s Day and everything sort of came together. Ann likes to offer the same design several ways so that if someone likes a certain phrase but not necessarily on a pillow box, they have a choice. When David and Patricia from dellcovespices got married, they wanted to pull in some family traditions into the dinner they hosted after. (It was a second wedding, so they wanted something more intimate with family than a big reception.) Anyhoo, one of Patricia’s favorites was when her great-grandmother would add a sugar cube into everyone’s champagne flutes before a toast. So they made small, heart-shaped sugar cubes – passed them around to friends and family before the toast, dropped them into the wine glasses and toasted life, love and adventure. The extras went into tea and coffee after the meal was over. They were such a hit, they started making them for friends and family – and then realized that everyone was telling us the same thing: You should sell these. So…they are! When Amy Spock from BeadsandThreadsbyAmy and her husband got married (almost 15 years ago-how time flies), the most important gifts they received were handmade by our friends and family. She still has the pillowcases her mother embroidered with their new family name. She love those and cherish them, especially since her mother has passed away. In honor of those embroidered pillowcases, Amy created her own Mr. and Mrs. Pillowcases for her shop. While these can be personalized any way a customer wishes, may they also serve as a DIY inspiration. Pillowcases can be embellished with fabric, ribbon, or lace (or hand embroidered) with simple stitches-either on a machine or by hand. Paired with a sheet set, they are sure to be a gift to remember. Chari from CICinspireme has seen so many ‘My Greatest Blessings call me mom, gma’ etc. but what about each other? Isn’t that how we got our beautiful angels or will be blessed with them? A daily reminder on our key ring to smile and be grateful for our blessed spouses! Chari is grateful that God blessed her! Corkycrafts made this kissing ball for her best friends wedding that was held at a winery in Texas. Once she made it along with wreathes the requests started coming. The wreathes were made for the entrance with tuille and the bridesmaids carried the balls as their bouquets. Once people saw them they wanted one for their wine tastings, Valentine themed weddings and we’ve added them to local pickup and to the shop, the heart shaped wreathes continue to be a favorite for Valentines Day too. Ceara from ElanPoise created this necklace that makes an excellent bridesmaid gift. It says “FAITH” on it which is meaningful in itself. The necklace has a small amethyst cross attached to it is well to give is a little extra sparkle and impact in meaning. Brittany from BrittanysBest had numerous requests from brides-to-be for napkin rings in a solid color. Since her beaded napkin rings contain multiple colors, she is now making ribbon wrapped rings in solid colors. They are less expensive than the beaded rings as well. For smaller wedding budgets, napkin rings can be placed on just the wedding party table or sweetheart table instead of on each place setting. Carolyn Eady from SproutPressDesigns shares that as a bookbinder, she is always asked if she make guest books. It began when her friends started getting married, with custom orders to match bridesmaid dresses and centre pieces. Now, Carolyn make a few options to suit current trends in weddings; natural themes, woodland themes and of course always welcome custom orders. The books are also great for weddings because the binding allows the spine to be wider than the thickness of the pages. That means the last few pages (which are usually still blank by the end of the night) can be used to hold a handful of the most memorable moments of the night, or special notes and photos from guests. E. Lee from NotJustCraftSupplies has perfect accents for your wedding pearls and swans. The pearls are white 6mm and available by the yard. Perfect to adding in water vases, floral arrangements and favors. Michelle Donoho from SouthernJamsandJelly is a true southern woman who takes delight in keeping traditions alive. She has had a love for cooking since the age of nine when she had my first dinner party (with grown up guests.) Michelle remembers her mother canning in the hot summer days while they were growing up. With memories of such great food and recipes shared for generations she decided as a southern woman she should “can” something. Her first project was fresh strawberry jam with just picked berries from a local farmer. When her neighbor got married two years ago she asked her to make my Spiced Peach Butter for the family brunch following the wedding. Of course, she did and the rest is jam history! Some of her family still call her by my childhood name and since canning is a precious memory of my childhood, Miss Shelley’s Southern Jams & Jellies is a labor of love and she is honored to share such a small part on such a joyous occasion! Cindyanne from MoreFriendsAndCo shares a great favor and/or thank you tag for bridal showers. They can be used as decorations and cut in any size and color combination. 2012BellaVida made these glass pearl earrings for brides and bridesmaids. She wanted an elegant but affordable option for brides. The extra large circle hoop earwire gives it even more elegance. The wedding earrings can be ordered as one or multiples for the wedding or for gifts. While they have a copper wire for interest, they can be ordered in silver plated wire if desired. Heike Birkmann from KarlasWoodDreams created this wedding decoration to make a couple happy on their special day. The decoration is unique and she made it with a touch of nature. Heike placed the little doves in it for happiness and since it is a special day she added the crystal beads for sparkle. White is the pure color and it fits to everything, have fun and enjoy. Eleni from LenasCakes celebrates the Pantone 2014 color of the year ‘Radiant Orchid’ with these edible flower favors for the brides-to-be. The fun part was that she started doing some pink and ivory roses for an order sh had. It was a quiet, a bit lazy Sunday morning. After playing a little bit with her colors – a creative mind can not rest, right?- she ended up not only with these but with another 11 (wow) other color combos. Her work space looked like a rainbow! Color trends are a wonderful way to celebrate the seasons! According to Pantone one of the top colors for Spring 2014 is Cayenne. Cayenne, a high pitched red, adds a dash of spicy heat to neutrals, and heightens the excitement when mixed with the other Spring 2014 colors. Members of the EtsyChristmasinJuly Team have many Cayenne items in their shops! Here are a few! CartoCreative has always loved Cayenne. She has always found it bold and exciting, much like Amsterdam, which is why she decided to use this hot and spicy color! Kazaa from TangerineToes feels this fire truck bib fits into the Cayenne trend. DesertDabbler earrings were inspired by nature exactly like the color Cayenne. There are many coyotes in southwest America where she lives and she loves to listen to them yip and howl at night – it sounds like they are having a party. Coyotes are a great symbol of the southwest which is why she uses them as her mascot. She found these red jasper coyotes at a rock show in Arizona. She added Swarovski crystals for a little bling and fun to the earrings. Alicia from AliciasFindings shares that her mom made this Cayenne pendant in a class she took. Alicia decided to add a black cord necklace to complete the look. Barbara from AuntBsAttic being married to a Romanian learned everything she needed to know about growing and cooking with Cayenne along with every other Hot pepper variety known to man! It was perfect training for later cooking for a son whose education, heart, feet and taste buds are firmly rooted in Asia and a large Mexican/Latino client base in northern Georgia. She loves the excitement and ‘sassiness’ of the color. She loves pairing it with neutrals for that special pop of color all year round. Shannon from MullaneInk created this small mirror frame so that it will fit in so many spaces – she loves the pop of color Cayenne brings to it. A real statement piece for a small space! Amy from BeadsandThreadsbyAmy created this apron for a local Chili and Frijole festival. She loved the colors and theme so much she placed it in her Etsy shop. Veronica and Andy from AVAArtsSupplies wonders what could be better than Cayenne peppers in Cayenne? They got these as a joke. When they were first married she made curtains that had chili peppers on them. She never really liked them, but was too busy to make new ones. Her mom saw them and thought they were adorable and then started purchasing ANYTHING that she could find with Cayenne peppers – salt and pepper shakers, pot holders, magnets, plates, picture frames – so every holiday she received more Cayenne peppers to match the curtains she hated! Linda from umeone created this bulletin board before she realized Cayenne was hot! Lisa from InsomniacTreasures has been collecting random glass beads and decided to make a series of bracelets with focused color groupings. This vibrant combo of Cayenne red and bright blue focal beads provide a great pop of color to heat up a cold and dreary day. B.K. Scriblz from ScriblzDesignStudio shares that winter and Christmas are two of her favorites. Her little snowman came about one day last winter. She lives in Seattle and they do not get snow very often so when they do it is a very big deal and everyone loves it! They had a beautiful snow the night below – the kind with big, soft, fluffy flakes. She looked out the window the next morning and saw the neighbor children playing in the snow, building a snowman. They were shrieking with laughter, their cheeks were rosy from the cold. One of the children had the most beautiful Cayenne red plaid scarf on. It was while watching them in their child-like state of pure joy that the inspiration for her little stacked snowman came to her. She made him that day, and listed him on Etsy where he is now one of her best sellers! Color trends are a wonderful way to celebrate the seasons! According to Pantone one of the top colors for Spring 2014 is Paloma. Members of the EtsyChristmasinJuly Team have many Paloma items in their shops! Here are a few! SticksNStonesGifts says that Paloma reminds her of a soft dove. She loves knitting soft natural colored scarves – perfect for winter or spring. CartoCreative created this map of Drake’s Island at the request of a customer. What a great vacation spot! They chose to show the map in Paloma to give tribute to the enormous rock jetty at the entrance of Wells Harbor. Kazaa from TangerineToes has a trio of soft to touch wash cloths in her shop that include white, black and a mid grey which she believes to be the perfect, warm Paloma. The colors are inspired by a contemporary, monochromatic scheme. ForsythiaHill has a lovely soft Paloma suede dress in her shop. It is inspiring because it is so unique and the fabric is a solid neutral color that would be fantastic with a colorful scarf. A vintage find from Ellen Kate’s closet by Forsythia Hill Vintage. Sandra from SandraOvono has always loved finding heart shaped rocks and other beach combing treasures. Each of her watercolor paintings allow her to share her passion for the beauty of these natural creations. Her hope is that you enjoy the simple beauty within each piece as much as she has enjoyed painting them. Lisa from InsomniacTreasures loves Paloma because of it’s great balance. She balances this Paloma necklace with gold which gives it a modern, classic feel. Patricia from RitzyandGlitzy was inspired by a friends necklace and her mother in laws love of marcasite to create this fantastic chunky statement necklace. Adam and Kelly from ColourscapeStudios are so excited about the Pantone colors this season-they love them all. They love that Paloma is a gorgeous neutral that can go with so many other colours in a home. They think that this photograph would go beautifully well on a Radiant Orchid wall! Tracy from LittleShopofColor has this lovely set of papers with wonderful neutrals including Paloma. She made these papers as a request from a customer and just loves them. They somehow have a quilted look that was not planned, but just happened. Color trends are a wonderful way to celebrate the seasons! According to Pantone one of the top colors for Spring 2014 is Placid Blue. Placid Blue is like a picture perfect, tranquil and reassuring sky, induces a sense of peaceful calmness. Members of the EtsyChristmasinJuly Team have many Placid Blue items in their shops! Here are a few! Alicia from AliciasFindings loves flowers and feels better when around them. 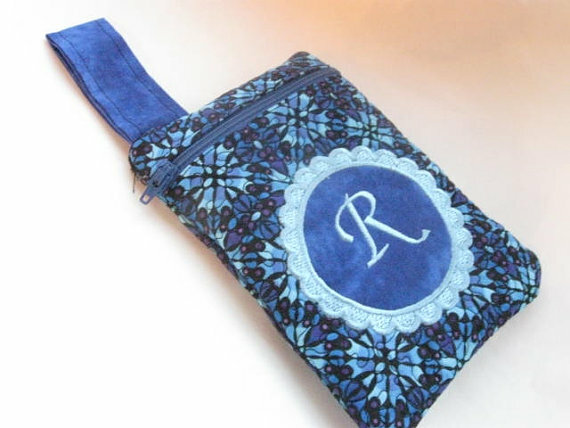 2012BellaVida has this relaxation pillow where you can rest under starry Placid Blue. SticksNStonesGifts says that Placid Blue reminds her of the pretty blue colors of the sky with a little wisp of clouds. Patricia and Rebecca from northandsouthshabby were inspired by the view overlooking Key West Bright. It was crafted to mirror the hues of the beautiful Placid Blue sky meeting the sparkling water. A view, incidentally, one never gets tired of! CartoCreative made this map of Pittsburgh after visiting there this year. It was such an interesting place they wanted something physical to remind them of their trip. They chose this color because they thought it represented the city well. They are both cool, confident and pretty. Lyn from DesiredSimplicity was treasure hunting when a mix of Placid Blues and a peaceful themed stain glass sun catcher caught her eye. It is beautiful items like this that create a calming effect and bring a simple desired smile. Kazaa from TangerineToes shares that her mum found this vintage pram blanket and just had to have it because her older sister had one for her children. She remembers always adoring this lovely plush puppy attached to the pram blanket. Nancy from EponasCrystals upcycled a bracelet link to create this necklace. Kyanite has a calming influence and is one of her favorite stones. The stone shimmers in light! Amy from BeadsandThreadsbyAmy and her husband sponsor the only high school fishing club in Colorado – Cyclone Anglers. She created this towel as a prize for students who won a little tournament they put on for them.